Spacious and centrally located Eastside Townhouse in highly desirable ‘Creekside’ complex. Recently remodeled chef’s kitchen with quartz counter tops, designer subway tiles, stainless appliances and modern cabinets. Generous square footage that boasts two over-sized master suites with excellent privacy and walk-in closets. The open living space floods with afternoon sunlight and features a gas insert fireplace, patio, with wood floors throughout the home. Two sunny decks perfect for the BBQ or enjoying coffee in the morning! An additional half bathroom, laundry facilities, storage, recently serviced fire sprinklers and new window treatments add to the comfort and convenience of this home. Detached one car garage with recently serviced garage door opener. Professionally managed HOA diligently services complex. A great opportunity for a first time home buyer, growing family or someone who wants to live near the beach in the heart of Santa Cruz! 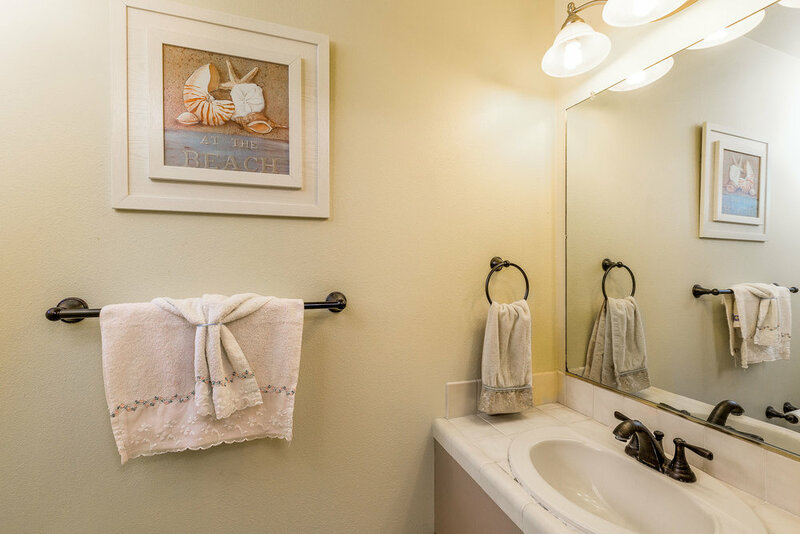 Sunny and bright 2 bedroom townhouse on the eastside of Santa Cruz. Remodeled kitchen, vaulted ceilings, hardwood floors, and in-unit washer and dryer. Presented by Sam Bird-Robinson, Realtor.